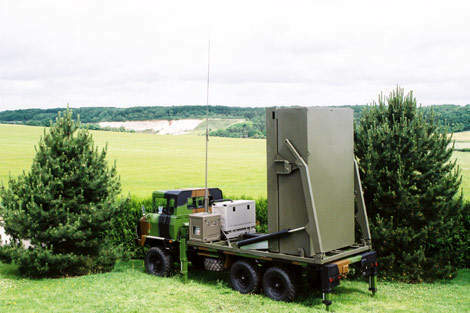 The vertical launch Mica short-range air defence system. The Mica missile is available with radio frequency seeker (on the left) or infrared seeker (on the right). The launcher can fire any combination of RF or IR-guided Mica missiles. The fire and forget system can carry out simultaneous engagement of multiple targets. The VL system gives 360 degree coverage against air threats. The VL Mica system includes a Tactical Operations Centre with up to four missile launchers. The MBDA vertical launch Mica short-range air defence system, VL Mica SHORAD, is built in ground and ship-launched versions. The modular VL Mica system includes a tactical operations centre with up to four multi-round missile launchers. MBDA displayed the system for the first time in February 2000 at the Asian Aerospace 2000 Show in Singapore. 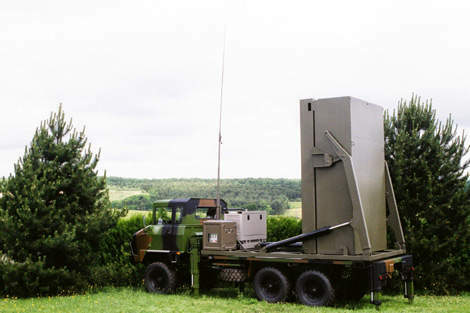 The first vertical launch of the VL Mica missile took place in 2001 at the Centre d’Essais des Landes range in France. In December 2005, MBDA was awarded a contract for the development of the system (previously a private venture) for all three French forces. VL Mica would be used to protect air bases for the Air Force, deployed forces for the Army and as point defence for major surface vessels for the Navy. 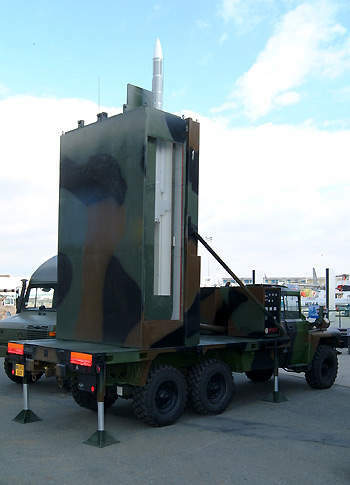 The land-based missile system is mounted on a 5t truck. The system gives 360° coverage against fixed and rotary wing aircraft, unmanned air vehicles and air launched missiles. The VL Mica SHORAD system is fire and forget and has all-weather, day and night capability to carry out simultaneous engagement of multiple targets. VL Mica uses the air-to-air Mica missile that has been ordered by the French Air Force and Navy for Rafale and Mirage 2000 fighter aircraft and by the air forces of UAE, Greece and Taiwan for the Mirage 2000. 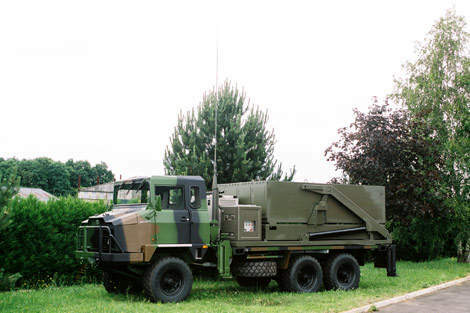 In February 2005, the system, mounted on an ACMAT multi-role vehicle of the French Army, was demonstrated for the Indian Air Force. MBDA and Bharat Dynamics Ltd are proposing VL Mica for the Indian requirement for a low-level quick reaction air defence missile. In May 2006, VL Mica was successfully fired from a navalised launcher. VL Mica destroyed a target representing a sea-skimming anti-ship missile at a range of 10km. In October 2008, a 14th test firing from a navalised launcher took place, hitting the target at a range of 12 km. In July 2006, VL Mica was selected by the Royal Navy of Oman to equip its three new Project Khareef ocean patrol vessels to be built by VT Shipbuilding. The system has also been ordered by an unnamed export customer. The 112kg vertical launch missile is built in two versions, an active radar Mica RF with a pointed nose cone and a passive infrared imaging Mica IR with a rounded nose. Mica RF has been in production since 1996 and the Mica IR since 2000. Both sensors are robust against jamming. 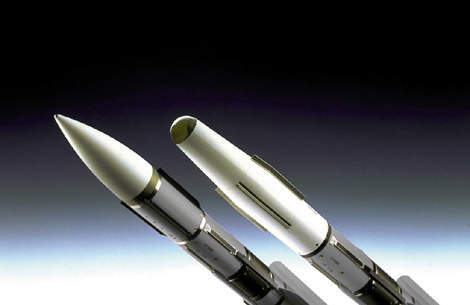 The slim body structure of the missile is identical to that of the original air-to-air Mica. The four L-shaped guidance fins installed at the rear of the body are movable. "The 112kg vertical launch missile is built in two versions." Mica RF is equipped with a programmable J-band, pulse Doppler AD4A radar seeker with a pointed ceramic radome at the nose. 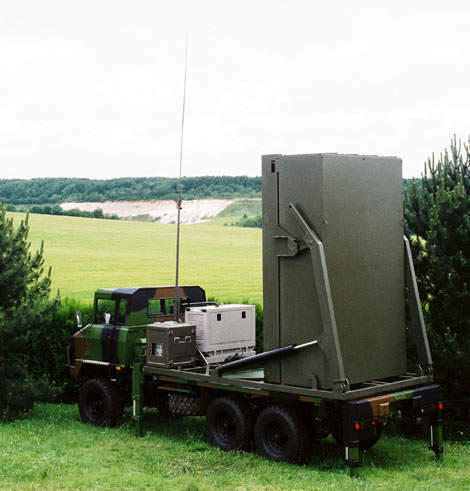 The radar seeker, supplied by Thales and Alenia Marconi Systems, operates at 10GHz to 20GHz. The seeker is of proven design and performance and is also installed in the Aster missile. The Mica IR uses a Sagem passive dual-band imaging infrared seeker with a rounded infrared-transparent glass dome. The seeker uses closed cycle cooling. The guidance compartment is equipped with a strap down inertial reference system. The directed splinter fragmentation high explosive blast warhead, weighing 12kg, is supplied by TDA Armements, a joint venture formed by Thales and EADS. The warhead is located behind the seeker and is fitted with an impact fuse and a radar proximity fuse. A butalite solid propellant booster and sustainer motor, supplied by Protac, is located in the mid-section of the missile. Four slotted vanes on a circular plate over the rear exhaust are efflux deflection vanes which provide thrust vector control. The movable L-shaped guidance fins and the efflux deflection vanes give the missile manoeuvrability up to 50g. The Mica tactical operations centre has up to four truck-mounted multi-round launchers. The launch assembly is installed on a 5t truck and can be loaded with any combination of four Mica RF and Mica IR missiles. The vertical launch system is based on the vertical launch technology developed by BAE Systems for the Seawolf naval air defence missile. "The VL Mica system can operate alone or integrated into a large widely distributed air defence network." 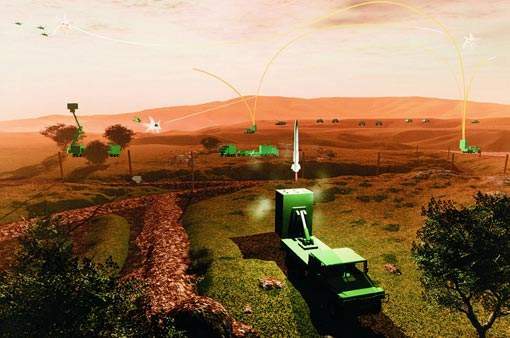 A distributed architecture system allows target data to be downloaded from a variety of sensors so the VL Mica system can operate alone or integrated into a large widely distributed air defence network. The pre-launch target designation is downloaded into the missile. The target designation data can be supplied by a radar or optronic surveillance system. The missile is launched vertically using thrust vector control. The flight is controlled by the programmable strap down inertial mid course guidance system and then by the terminal homing seeker. The missile’s butalite solid propellant booster and sustainer motor gives a maximum speed of greater than Mach 3. The maximum target range is 10,000m and 9,000m altitude. The launch rate between firings is two seconds.